Who doesn’t enjoy receiving money as a gift, but handing someone a card with a $20 dollar bill inside seems so well… boring. Not to mention, it’s way more fun to watch someone unwrap a real gift. 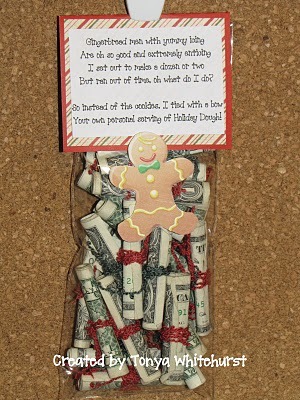 With a little extra effort and a dose of creativity you can make giving cash fun again! 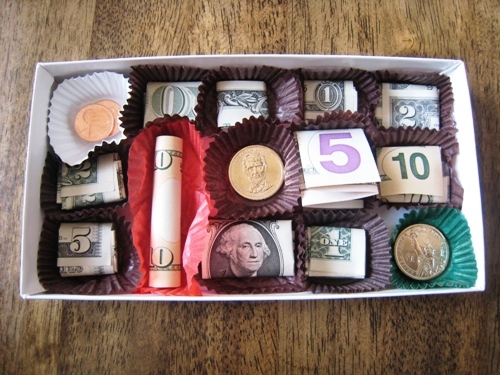 Here are 23 creative ways to give cash as a gift for any occasion. 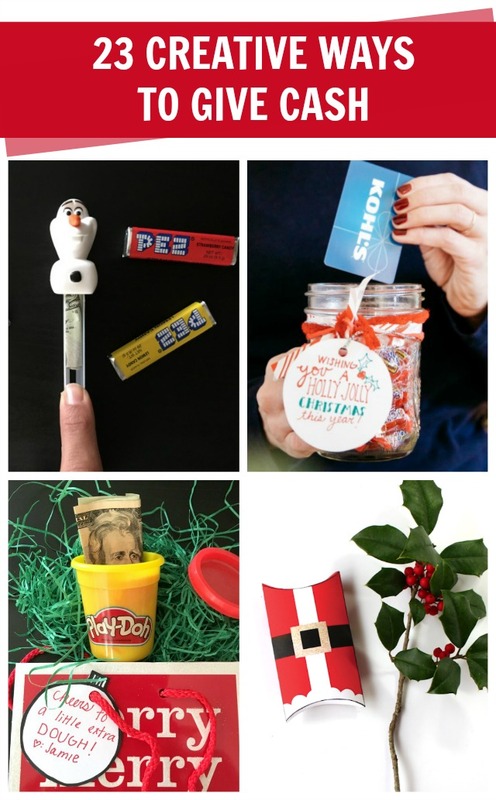 Many of these ideas can double as creative ways to give gift cards too! 1. 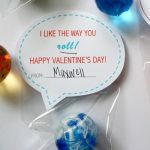 This creative cash giving method involves a wrapped gift and balloon popping, how much more fun does it get? 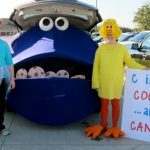 See all of the details on giving cash in balloons at C.R.A.F.T. 3. 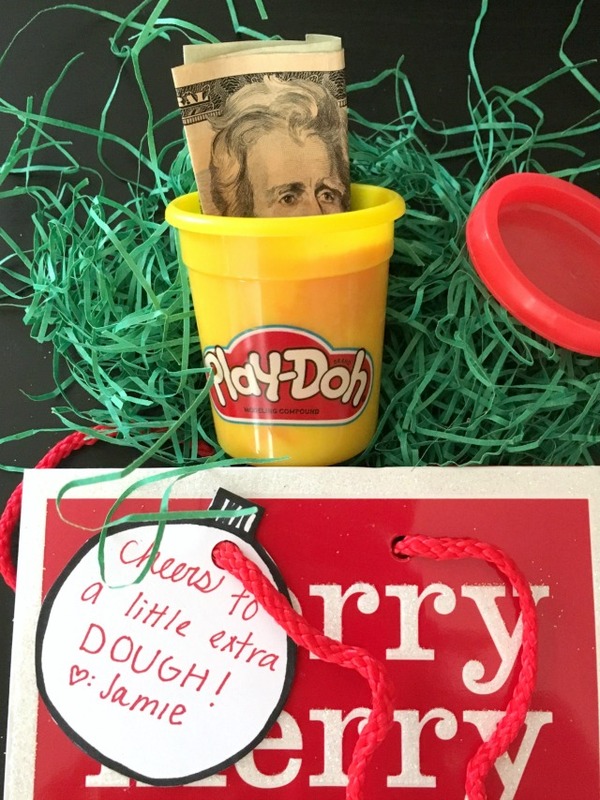 And some extra “Dough” to a container of Play Doh for a gift that is sure to be enjoyed! Check out this post on C.R.A.f.T. 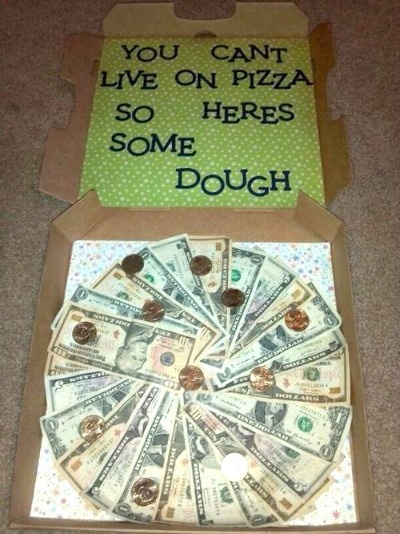 for more details on how to give cash in Play-Doh. 4. Cash and candy? Yes, please! Check out C.R.A.F.T. 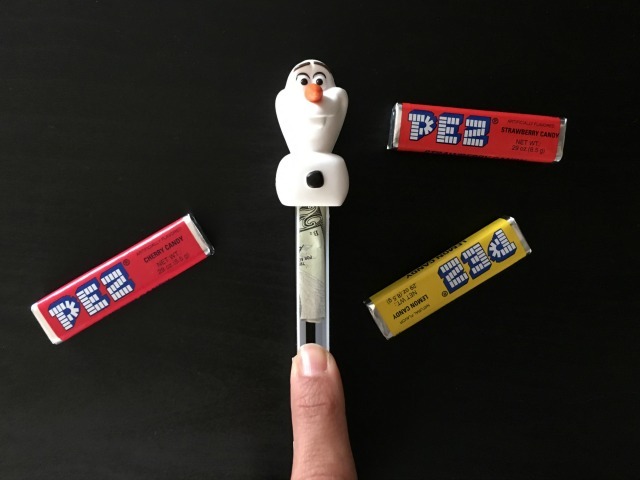 for more details about giving cash in a Pez Dispenser. 5. For a creative way to give a gift card consider hiding it in a mason jar of red Jolly Ranchers. 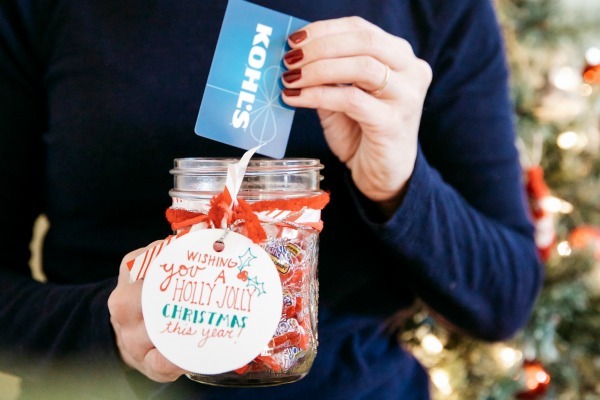 Simply fill a mason jar with candy and hide the gift card inside. Add a sweet handmade tag that says, Wishing you a holly jolly Christmas! 6. Here’s another creative, not as simple way to idea to hide a gift card. Embroider a canvas with a silly message and attach the gift card to the back side. For all of the details about how to embroider a canvas post. 7. 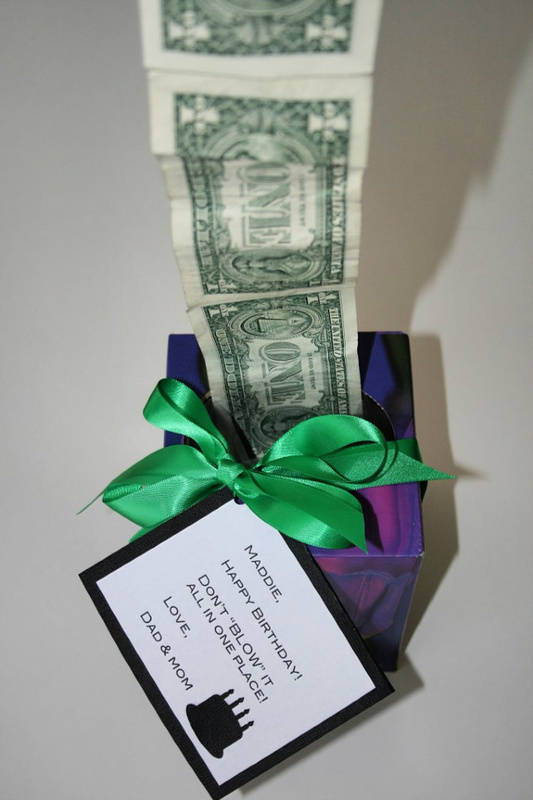 As long as you have access to a printer, here is a super cute money gift box! You can stuff Santa’s belly with money or a gift card. 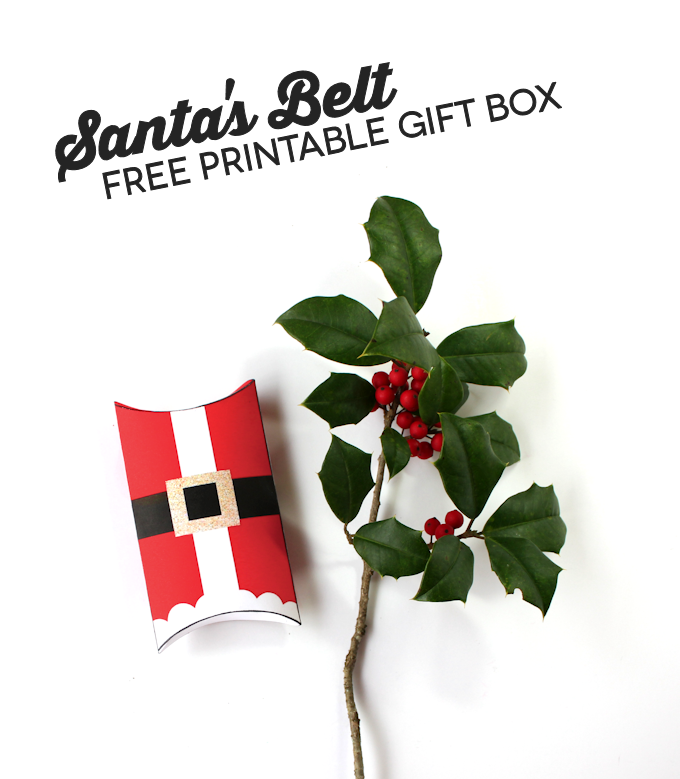 Download and print the free printable pillow box here. 8. I want to be there when little Johnny opens this box of chocolate! 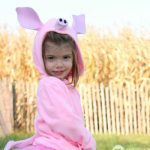 See all of the details on Life as a mom. 9. How fun is this idea to give origami money! 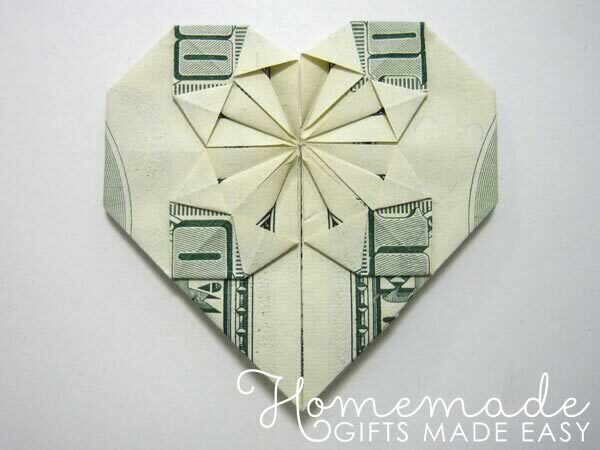 See how to make an origami heart at Homemade gifts. 10. 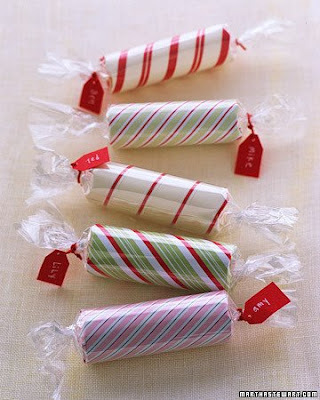 These peppermint covered money rolls make a great gift for kids or a college student who uses a laundry mat! Find more details at Martha Stewart. 11. 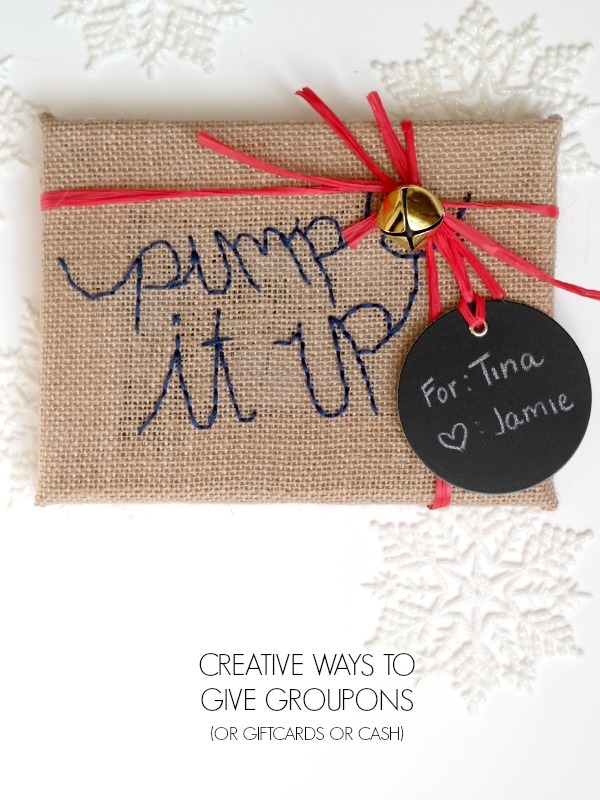 I love the idea of sewing a reusable gift card holder from an old shirt! 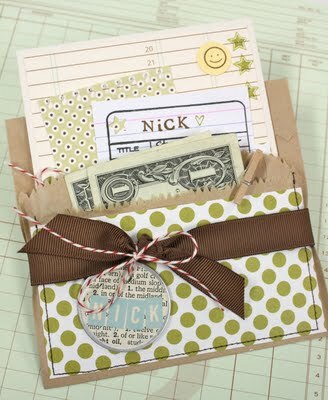 Find the details for this creative way to wrap a gift card at It’s Toile Good. 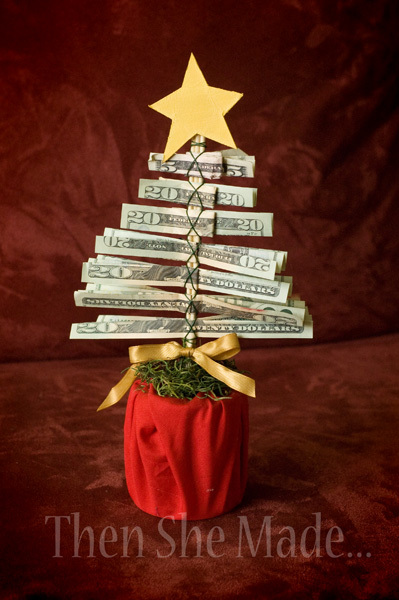 13. Who doesn’t want a money tree? Find the complete tutorial over at Then She Made. 14. 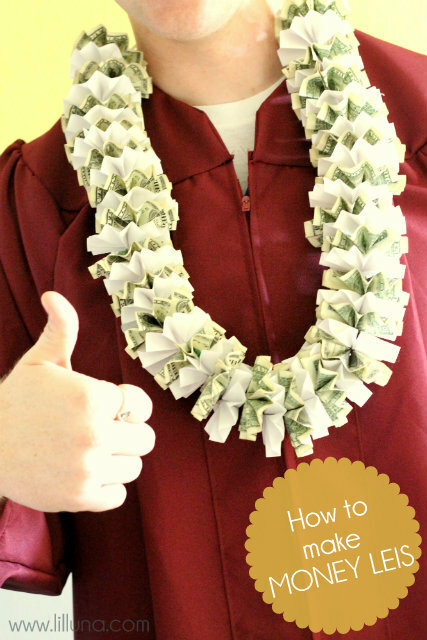 A money lei might be the most creative way I’ve seen to gift money! Hop on over to Lil Luna for a detailed tutorial. are oh so good and extremely enticing. but ran out of time. Oh what do I do? So instead of the cookies I tied a bow. It’s your own personal serving of holiday dough! For more details check out Heart and soul scrappers. 18. Book Money: Hide a crisp $20 bill in a good book. Freakanomics, C.R.A.F.T., or Guns, Germs, and Steel are a few good options. A cook book or an adult coloring book could be perfect for the right person too! The hard part is not telling the recipient. Just let the recipient find the hidden treasure as they flip through the book. I promise they will be excited…it is like finding hidden money in your winter coat pocket! 19. 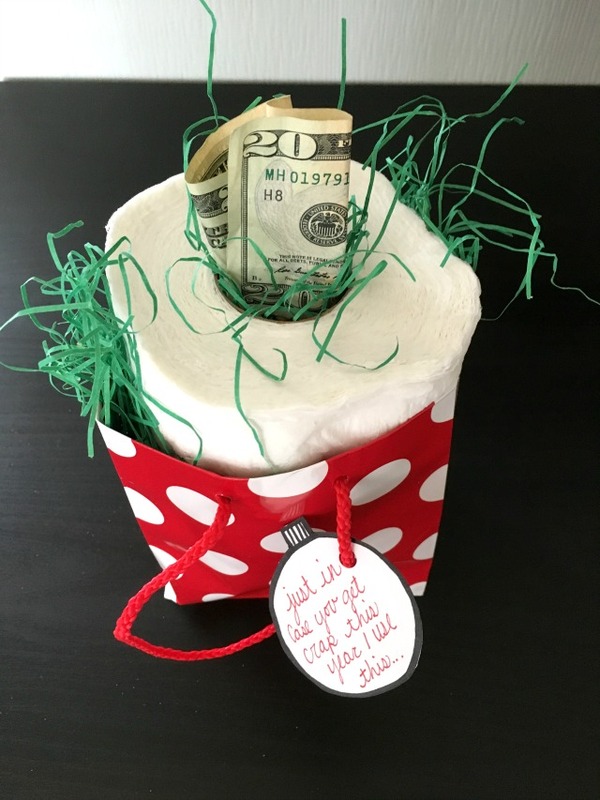 Turn an empty Kleenex box into a money box and attach a note that reads, “Don’t blow it all in one place!” Thanks for the genius idea Lovezilla. 20. Turn a simple brown paper lunch bag into an adoarble money bag. Check out the full tutorial Mish Mash. 21. 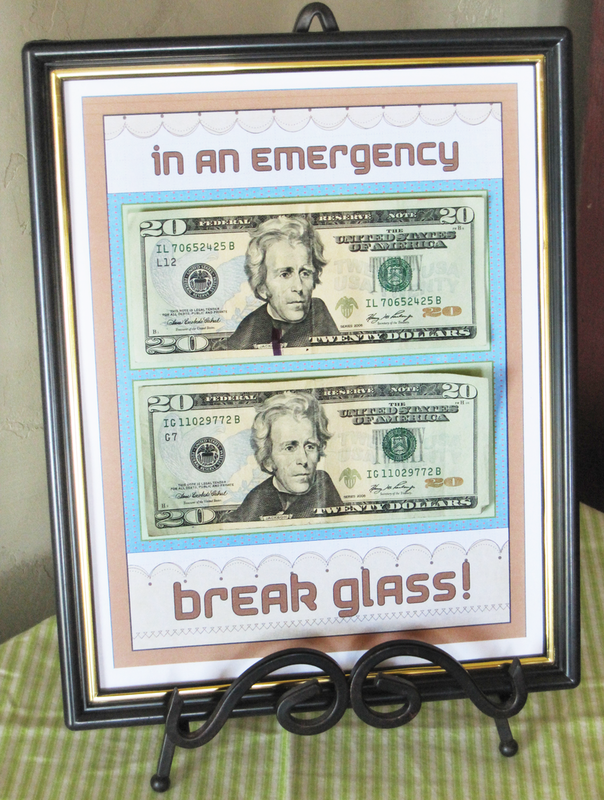 Here’s a funny way to wrap a gift card or cash, frame it in glass with an insert that says, “In an emergency break glass!” Image found via Create my Event. 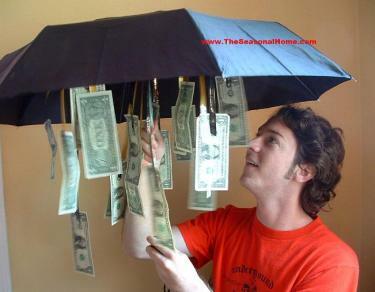 22. Who doesn’t love raining money? Whip up this clever way to give cash with a tutorial from The Seasonal Home. Thank you, C.R.A.F.T., for the great roundup!!! I bookmarked it, FBed it and Tweeted it, too! You're awesome! Thanks for all the information and inspiration C.R.A.F.T. provides. Merry, merry and happy, happy! I like it a lot! So creative! 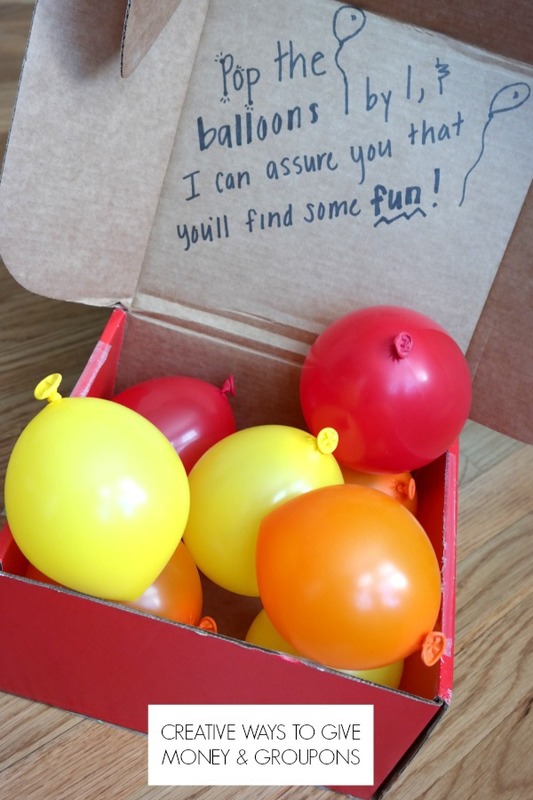 How about it put money in the balloons (like your post) but hang them on a dartboard and give the recipient(s) a certain number of darts (5?) to throw. Whatever balloons they break, that’s the amount they get. Of course they keep throwing darts until they break a balloon with each one. That’s a great idea! Thanks for sharing, Vicky! Is there an easy way to get the money into the balloons? All you have to do is roll the bills up, add a little tape to hold it together and put them right into the balloon. Add a little confetti for extra excitement, just remember though, you will have to do some clean up. Thanks so much for this idea! My son received a dart board for his birthday a month ago and I’ve been trying to think of a clever way to gift cash for him this Christmas! Love all these ideas! Thanks so much! Thanks for Showing Me the Money! These are some very cool ideas!! You are so right…a card with a $20 bill in it is just too boring! Love the ideas and will use a couple this Christmas!!! Thanks for the ideas! Ha! That is awesome! What a funny story… Thanks for sharing, Marty! We are looking for some different ways to give our kids money this year. Last year we got them 300 one dollar bills, crumbled them up separately and put them in a pizza box. Wrapped the box up and had a contest. They sat on the couch, could unwrap the present but not open the box. Then they had to face the open end of box away from them and when we counted to 3 they had to see who could open the box the fastest!!!! What fun they had. Am really glad I found your site. thinking about the balloon one for this year!! We gave cold hard cash by placing the money into ziplock bags and freezing in buckets and bowls of water. We had to get creative to keep the bags of money from floating to the top of the container before freezing but it was a lot of fun to give a bucket with blocks of “ice” with money in it. I am going to give my wife cash for Christmas, so that she can go out and spend it on whatever she wants. Putting in a card, in paper or gift card form, doesn’t really convey much thought at all. So, knowing how much I wanted to give, I started to think of ways to make giving cash as memorable as possible. Also, I didn’t want to use google to rehash someone elses idea, not that there is anything wrong with that. I came up with the idea of giving her stacks of hundred $1 bills but wanted to take it a step further. I looked up how many bills are in a pound. 454, as each bill weighs a gram. I broke down the gift to be equal to just over a pound. I will wrap it in deli paper and put it in the frig. Getting her to find it will entail a clue game, ultimately leading to a deli ticket to have her check the lunch meat drawer. We are doing a scavenger hunt for our kids too. Can’t wait for Christmas morning. Should be fun. 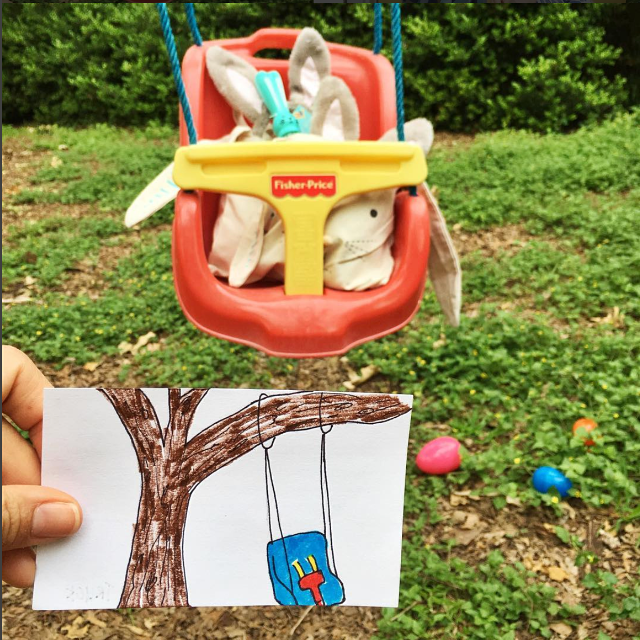 Since Easter is coming soon, this gave me an idea to give money in plastic easter eggs in an old egg carton…thanks for sharing these great ideas. i put some in between the “popcorn” packing peanuts ,i taped with clear tape nomey between two peanuts and added it to a box full of them. My parents received 25 silver dollars framed for their 25th (silver) wedding anniversary. My son received a pair of “fireman” rubber galoshes for his 5th birthday that had several handfuls of change in them (like the fill-the-boot fundraiser fire departments do). Quarters fit perfectly into those “Airborne” tubes, and my mother used to slip a couple of those tubes in my care packages when I was in college. Of course there is always the cash in a small wrapped box, inside a larger wrapped box, inside an even larger wrapped box, etc… For those who just love unwrapping things! I loved this blog but thought our Creative Way to Give Money (Cash) as a Christmas Gift at foldinmoney.com could be a great addition. thanks for sharing these cool ideas. My friend”s son (age 11) received a pair of jeans from his grandma, he wore them to school the next day. Imagine his surprise when he stuck his hand in a pocket and found a $5 bill. Each pocket had one too. Cool to get the surprise at school. I have purchased a photo album and each week since the end of my grandson’s junior year of high school, I put $20 in a sleeve. When he graduates, I will give the photo album as his gift. One of my favorite things to give to children for their birthdays is a balloon with cash tied on the string kinda like a kite I make bow ties out of the bills.I usually give the same amount as their age. I have one nephew who loved it so much I had to start using amounts like 2 fives and 3 ones for 13. Its always a hit! I´ve been hiding tips in the books for months, great incentive to re-read some old favourites! This past Christmas my mother and I set out to give my cousins money with some similar ways. We succeeded at the balloon box and money pizza but also tried some others. One was a money bracelet that we were able to find instructions for online. We also did a gum package of money, and Lindor Truffles. It was a fun project and my cousins really enjoyed it! Two years ago I bought red and green helium balloons and tied money to the strings. Each granddaughter picked their color and then had to figure out how to get them down from the ceiling! 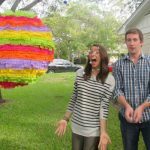 This year I had to come up with a new idea sooo I filled a pinata with candy and money! Both ideas were a great success and lots of fun to watch. My dad went to the bank and got a stack of new $1 bills. Then he went used pad/book compound and painted one edge. Once it dried he gave me a stack of perfect dollar bills that I could peel off one at a time. I LOVE THESE IDEAS….My hubby and I were trying to think of ways to give our adult kids cash about a week ago – BEFORE Christmas!! You’ve compelled me to create a file in my “Notes” app titled “Christmas 2017 Planning”, and today is Dec. 27, 2016! Thank you so much for sharing these; I needed it. I’ve given money shirts one year, tank top with one dollar bills attached to it ( first one I sewed, second one I stapled). I’ve unrolled a toilet paper roll then placed bills all through out it as I rolled it back up. I’ve stuffed bills into balloons, prank boxes, and you know the can openers that open the can from the side, opened a can of beets emptied and washed filled with money then glued it closed. This year I’m going to do the umbrellas. Thanks for the idea.